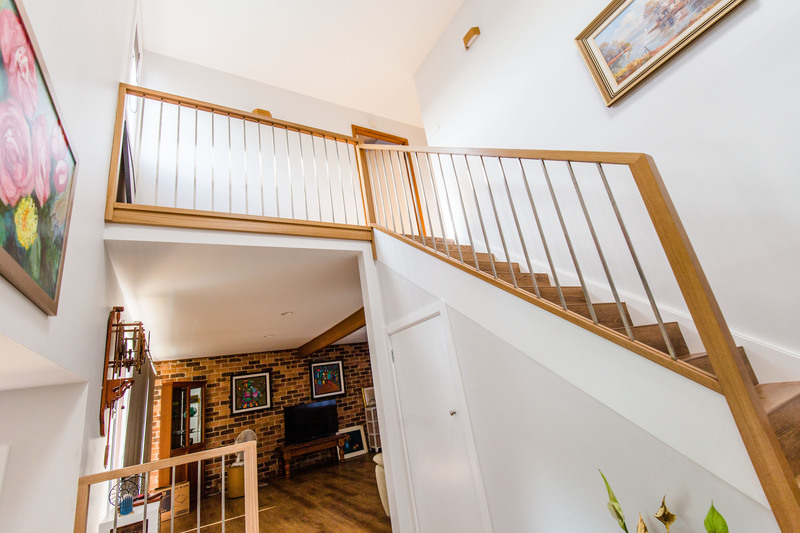 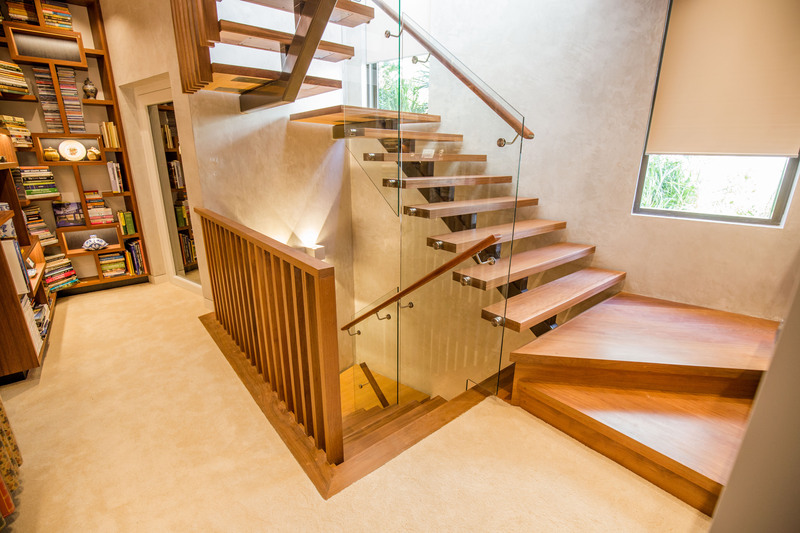 Our Bayview Staircase is an open rise, cut stringer constructed using hardwoods such as Grey Iron & Blackbutt. 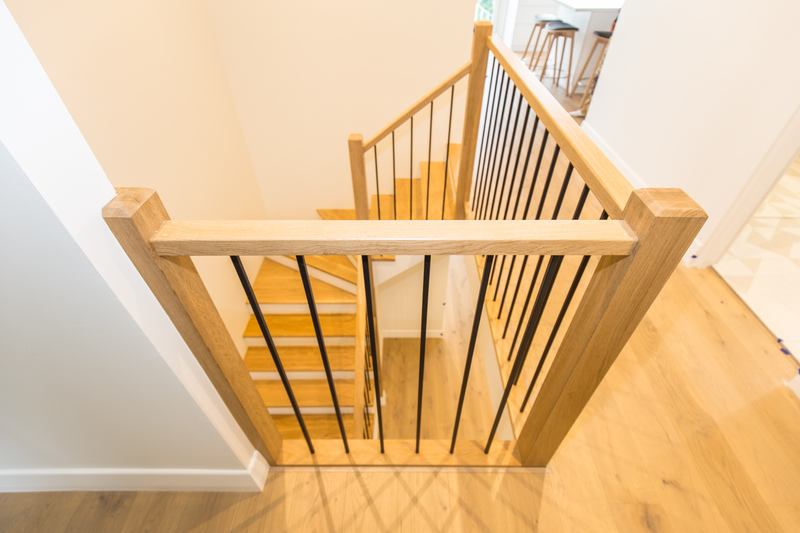 We've complimented these Spectacular Timbers with a Timber Screen, Frameless Glass Balustrade and a Mild Steel Mono Stringer. 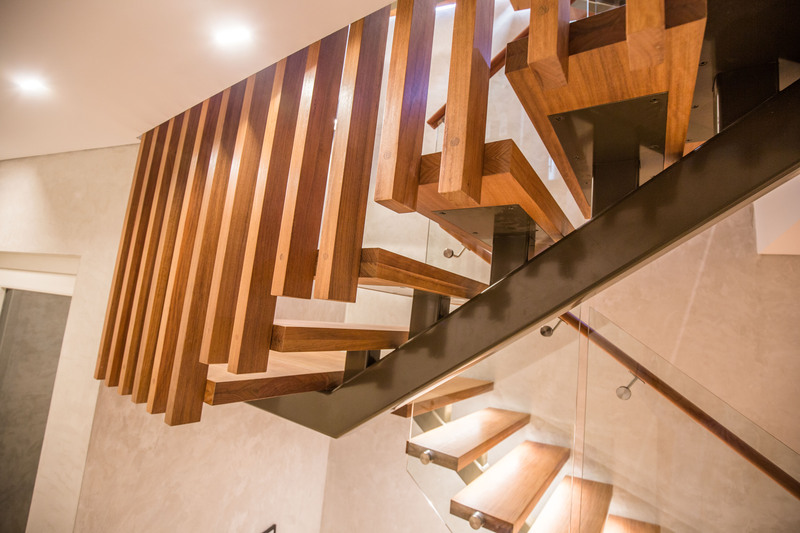 This luxurious and contemporary style is the perfect addition to the modern home! 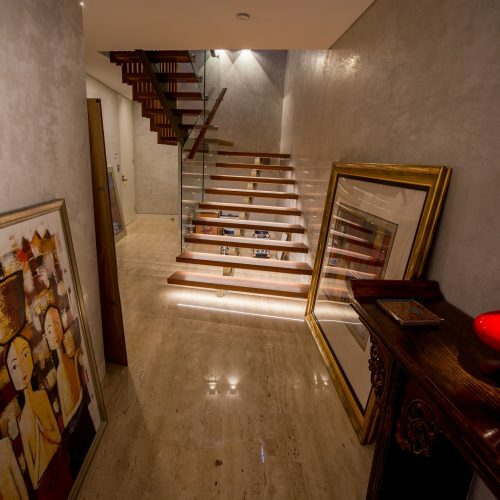 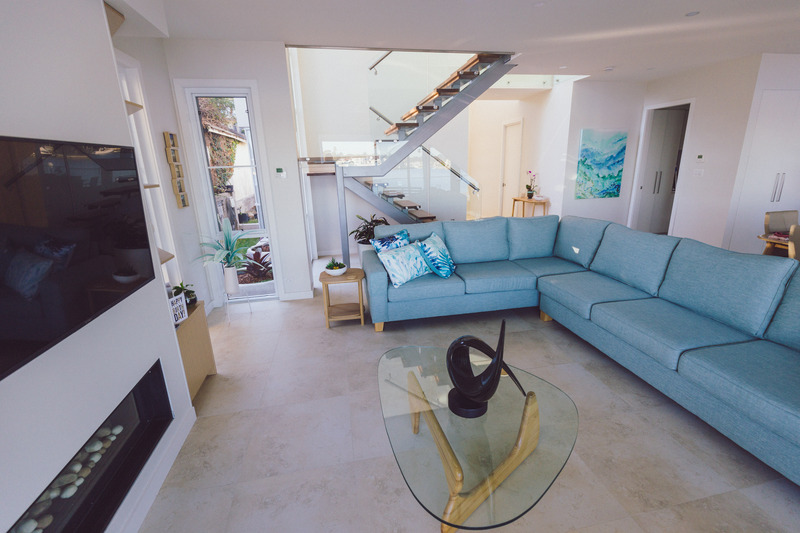 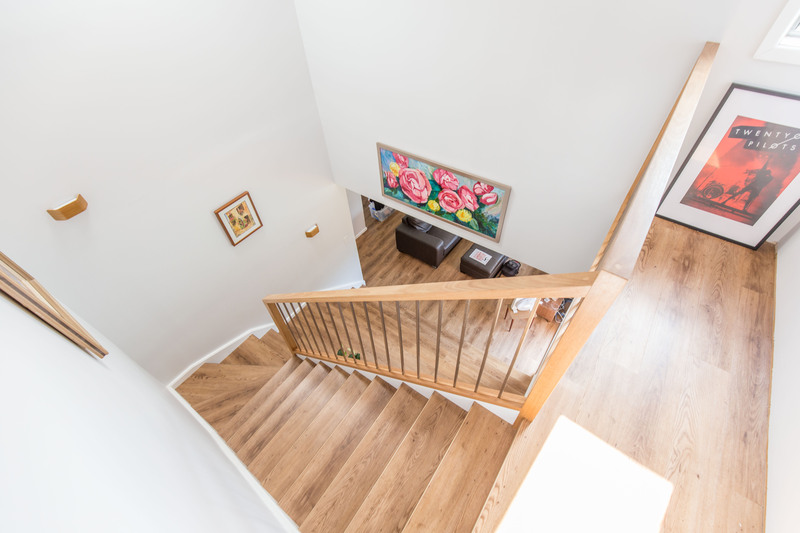 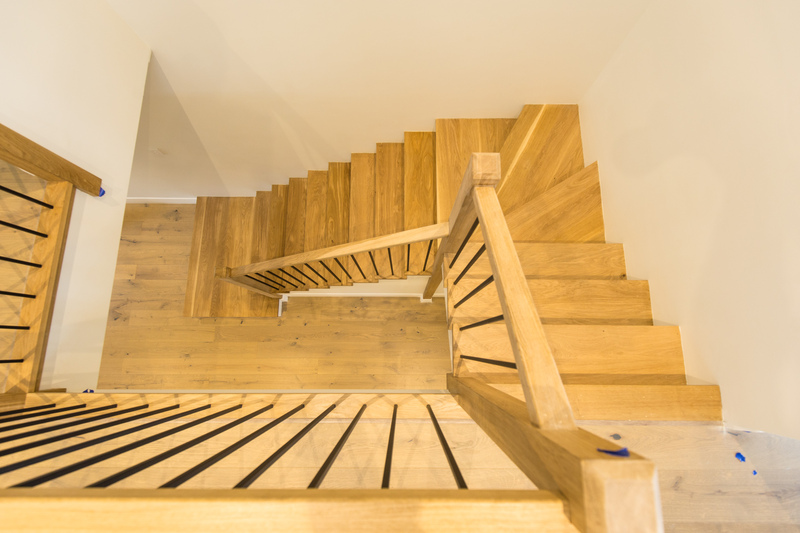 Our Engadine Staircase is constructed with MDF treads and Timber Flooring overlay to create a seamless transition. 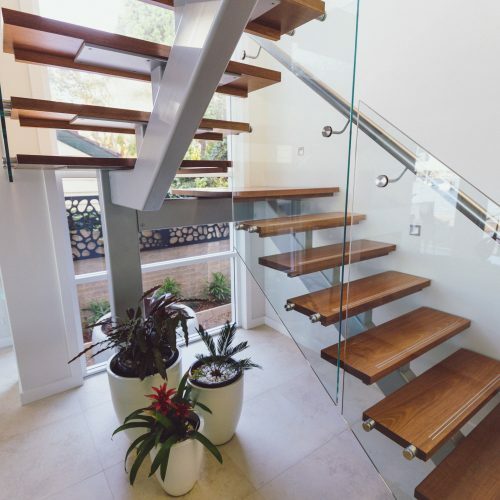 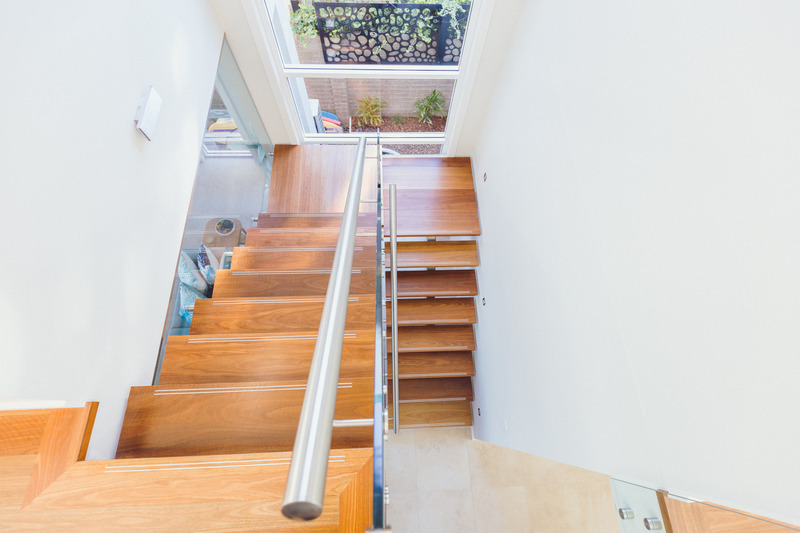 We’ve used a 65 x 40mm Laminated Blackbutt Timber Handrail and 12mm Stainless Steel Balusters to achieve a modern and captivating design. 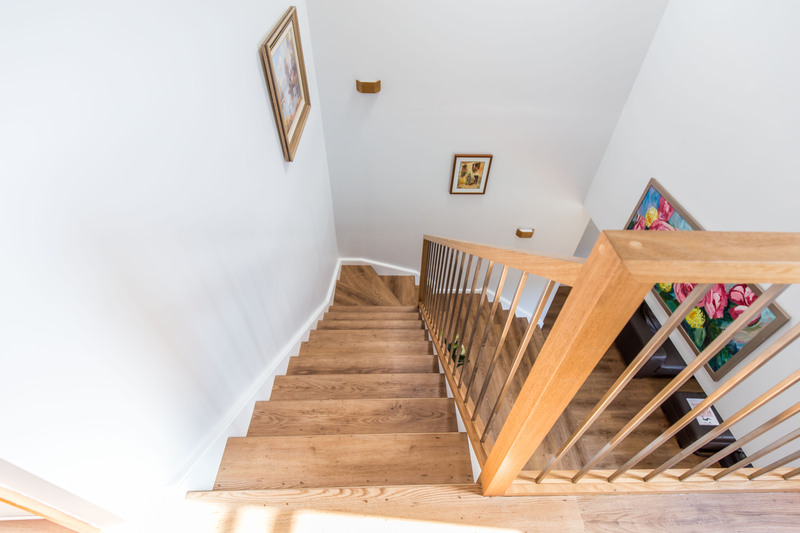 Our Oatley Staircase is constructed using Pine and 280 x 30mm Laminated European Oak Treads. 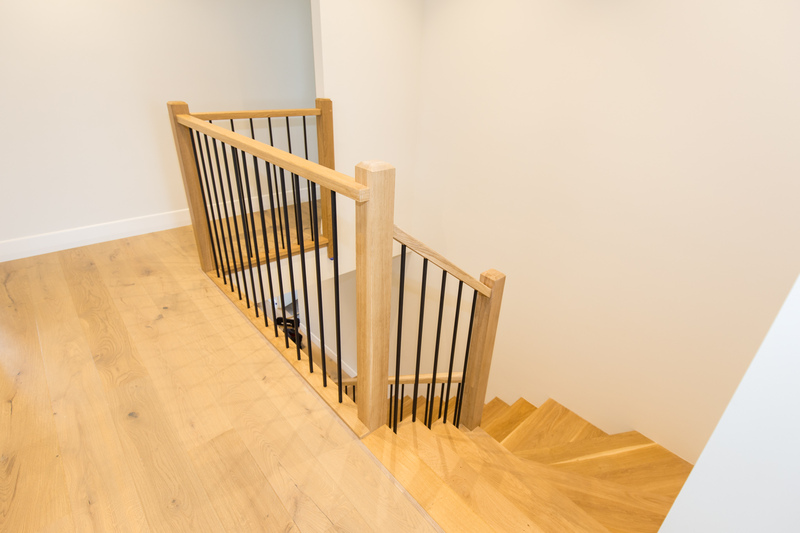 This simple, classic design features a 1/4 Landing and a 65 x 40mm Laminated European Oak Handrail with Mild Steel Powdercoat Black Balusters incorporating a modern design. 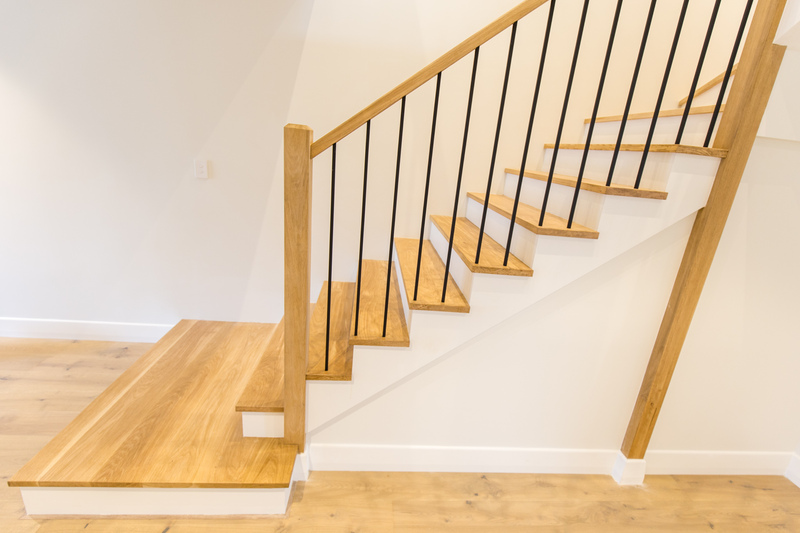 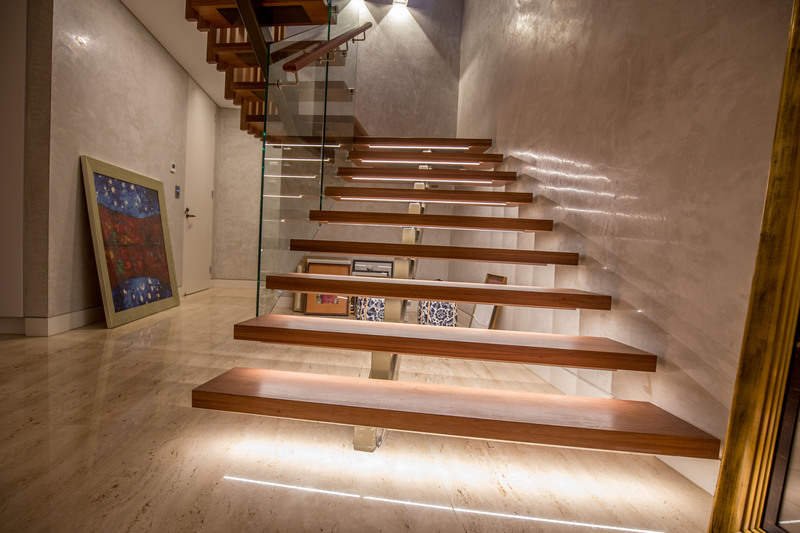 We love the way these simple features have transformed this stair! 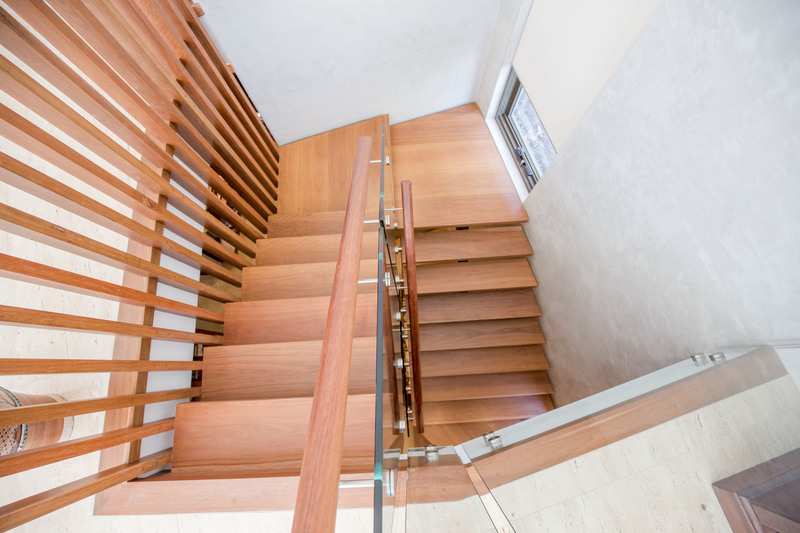 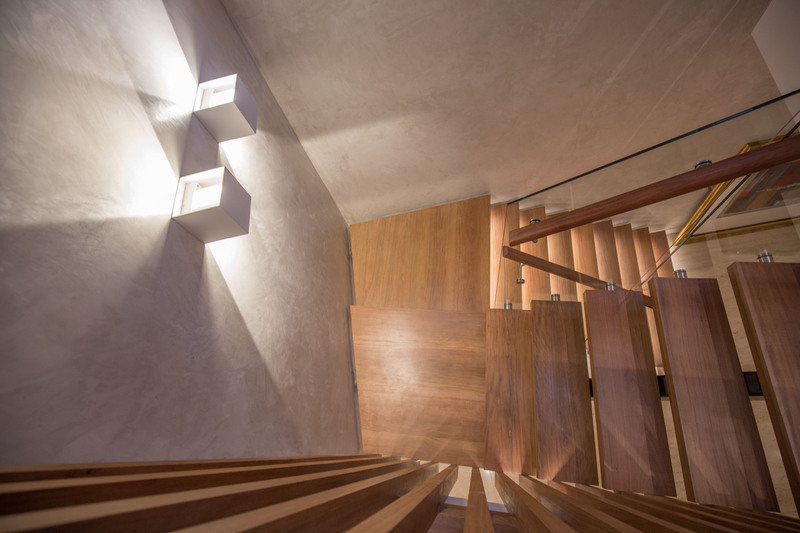 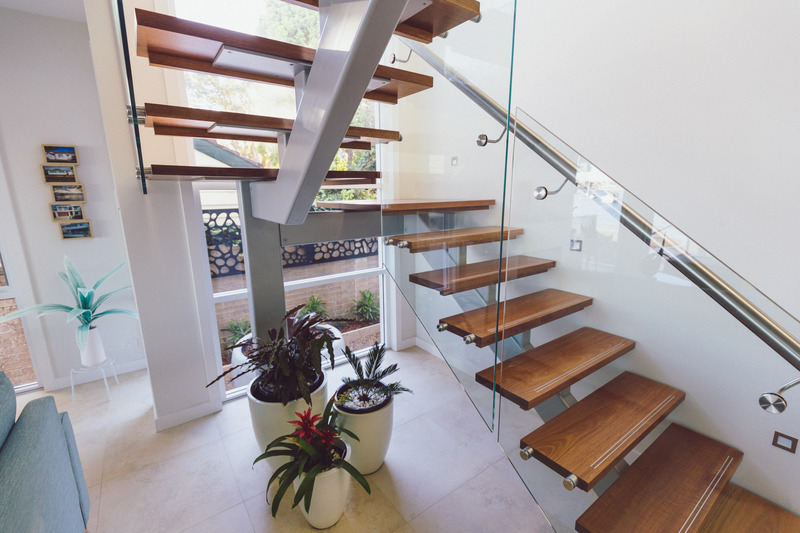 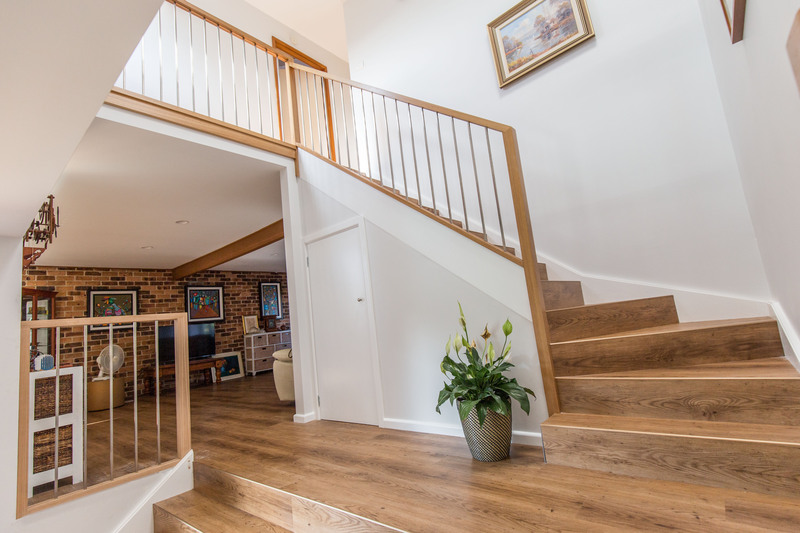 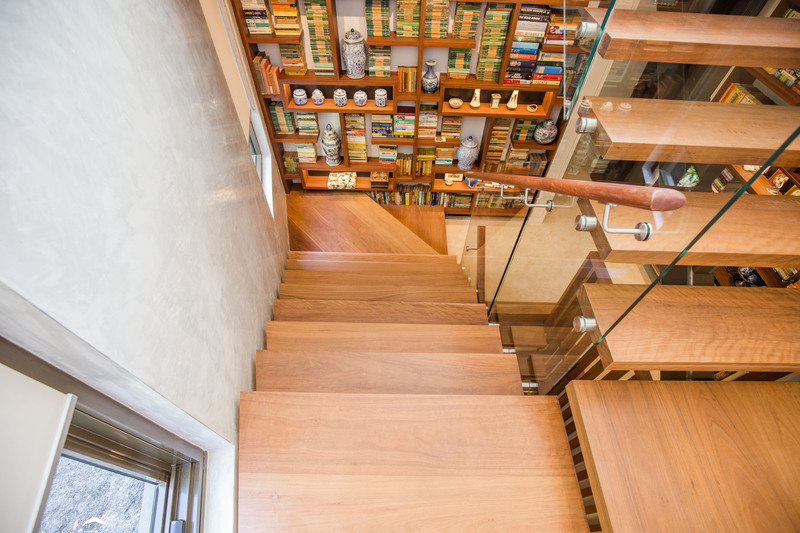 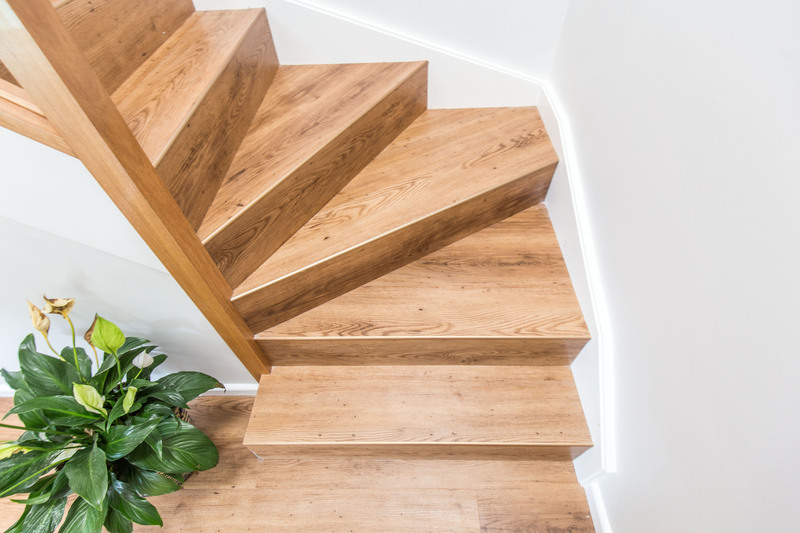 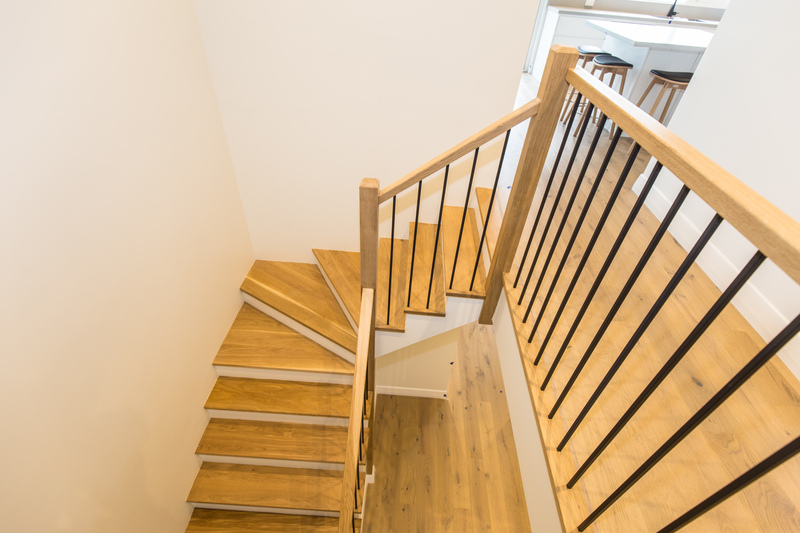 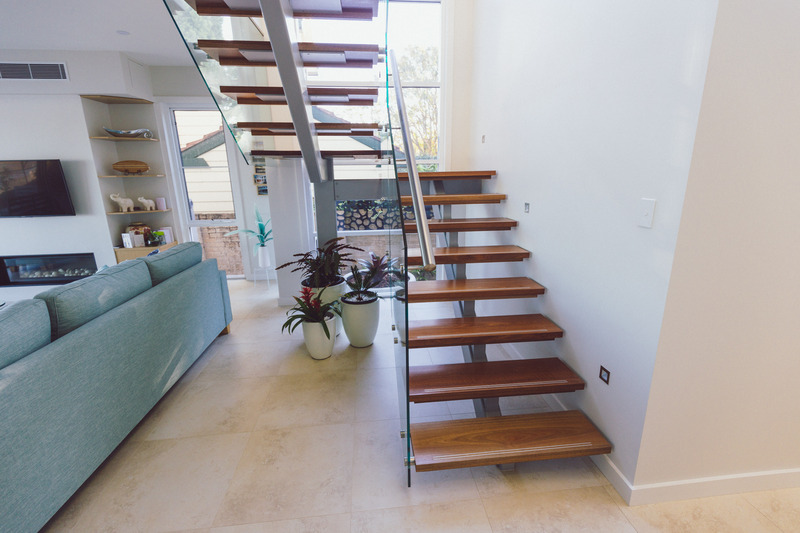 The Taren Point is an open rise, spotted gum timber staircase with 2 non-slip strips for safety in all conditions. 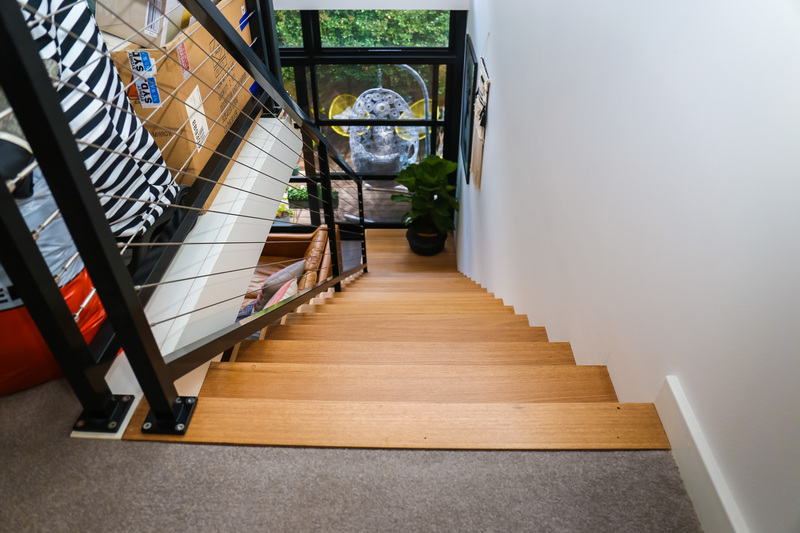 This stair features a metal mono stringer to enhance the timber and create a contemporary style perfect for any home. 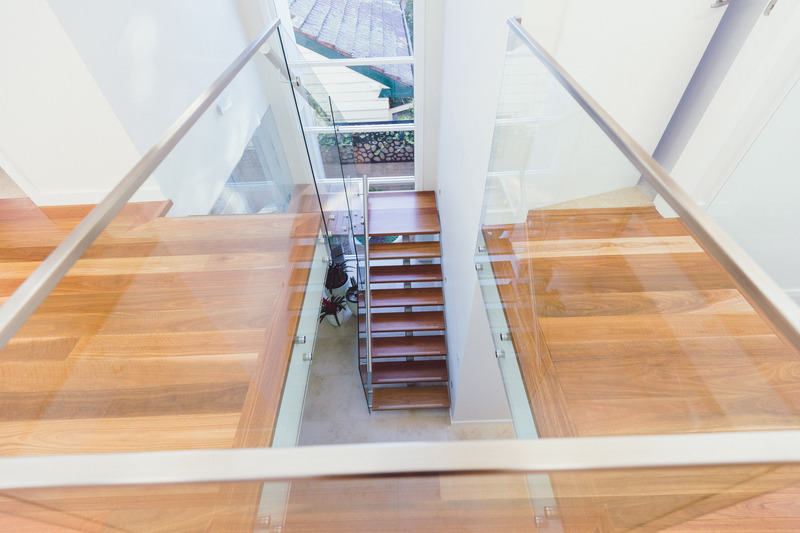 We’ve also used a frameless glass balustrade with steel rail and fittings for a classy and contemporary look. 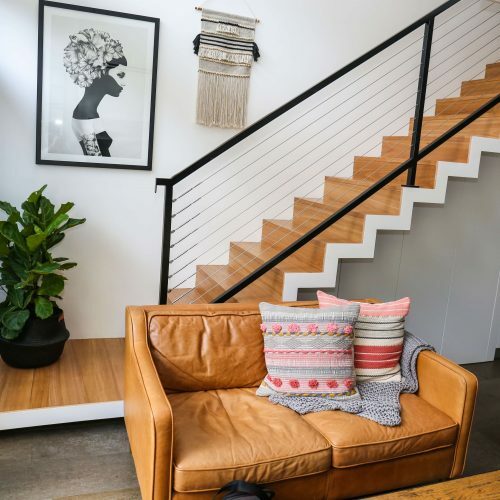 The Erskineville Stair is of closed rise, cut stringer construction. 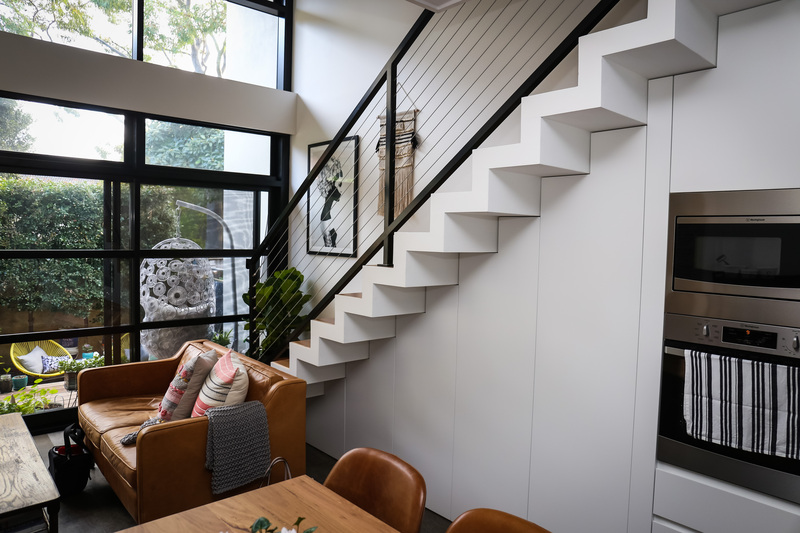 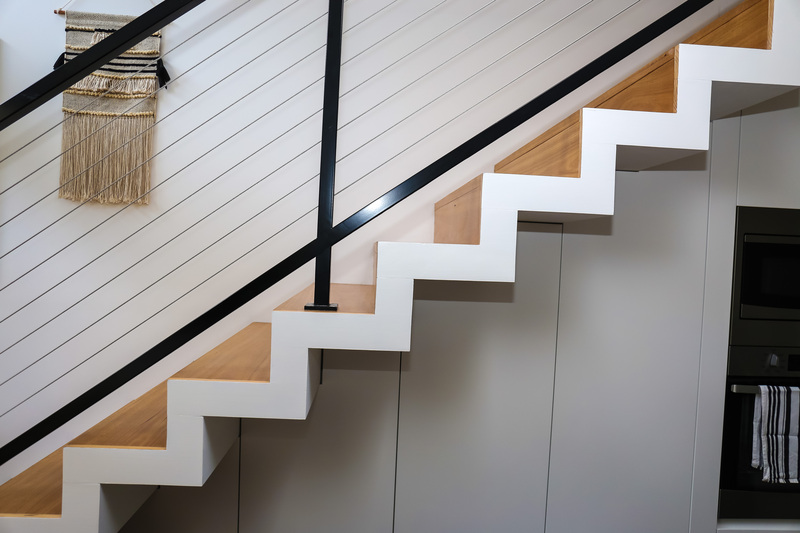 Face Stringer is constructed in 250 x 42mm Laminated Victorian Ash, painted in white to tie in the stair to the white walls and aesthetics of the room. 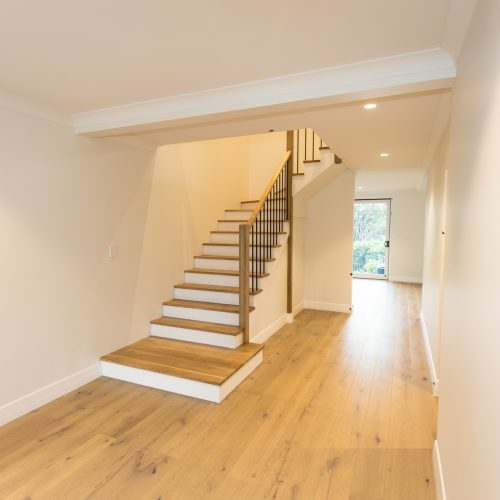 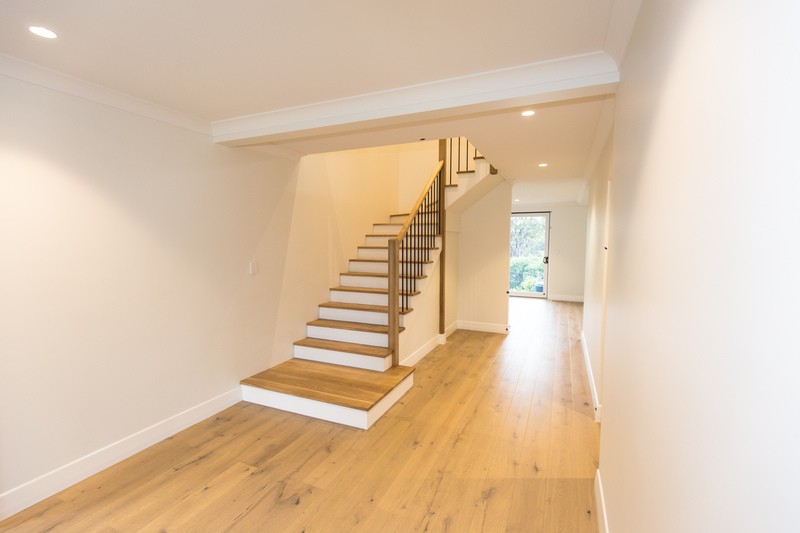 Treads are of 280 x 32mm Laminated Blackbutt, a strong durable hardwood guaranteed to last. 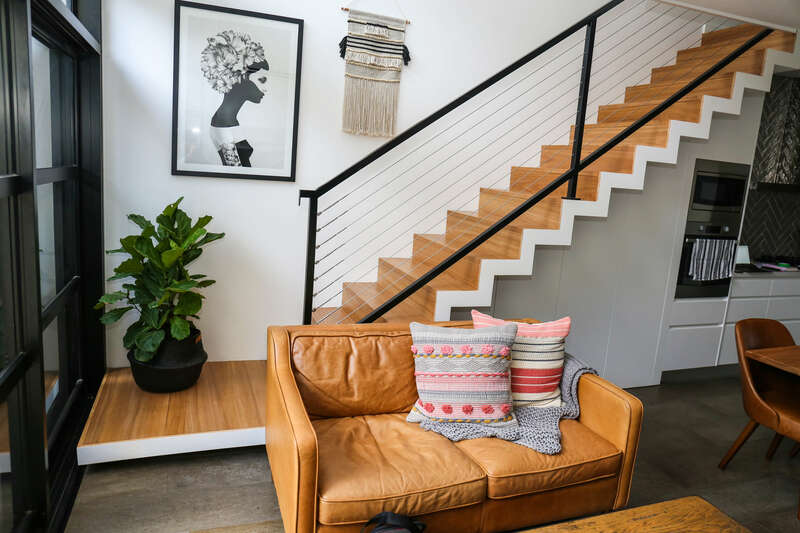 The Erskineville Stair is of closed rise, cut stringer construction. 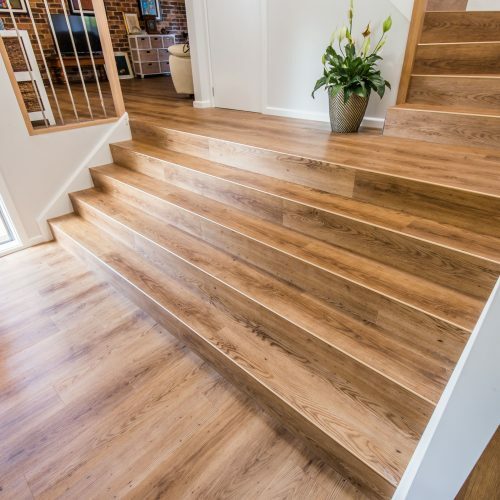 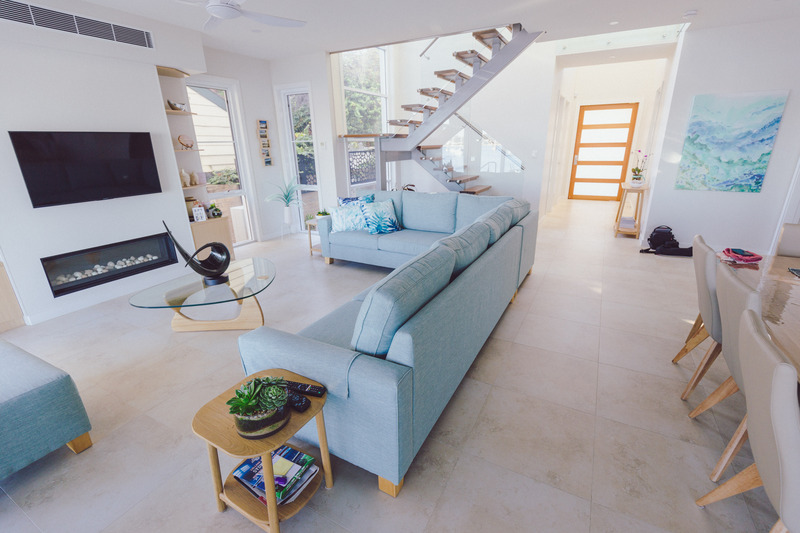 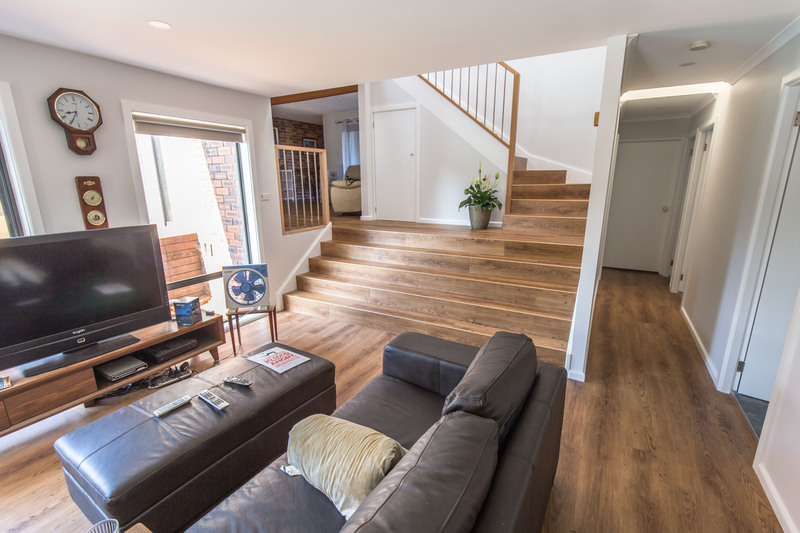 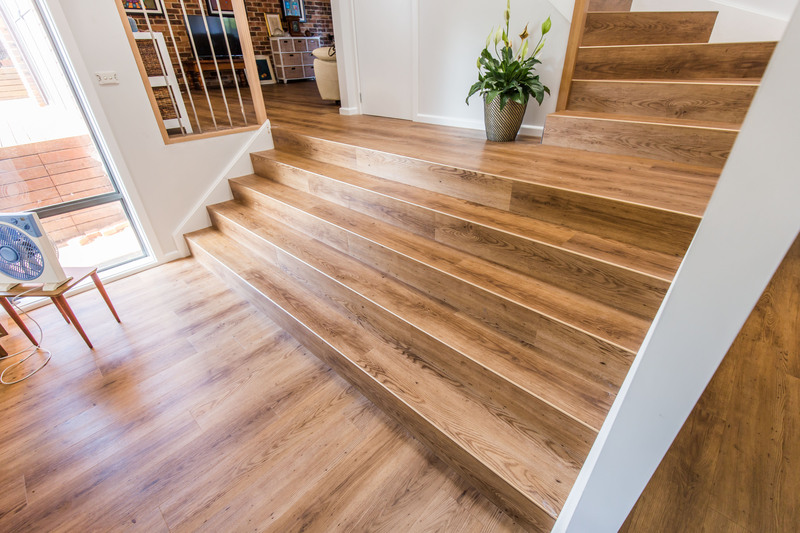 Treads and Riser are Laminated Blackbutt, a strong durable hardwood guaranteed to last. 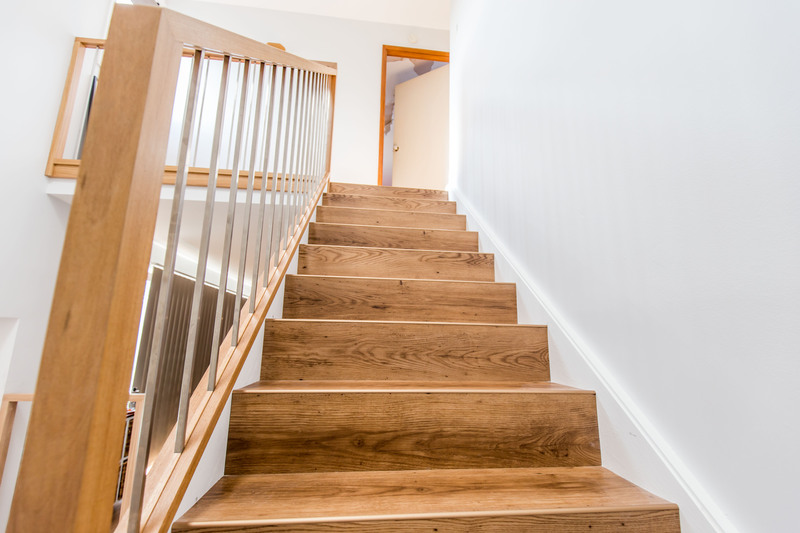 Face Stringer is constructed in 280 x 42mm Laminated Victorian Ash, painted in white to tie in the stair to the white walls and aesthetics of the room. 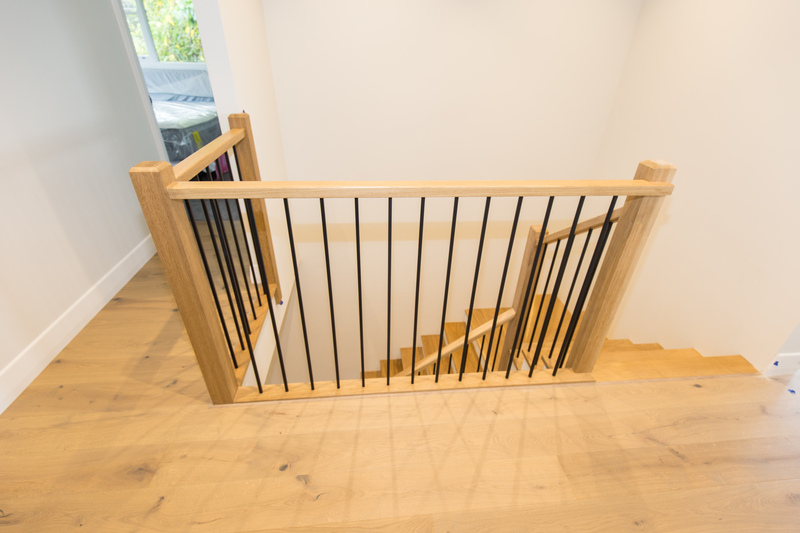 The Balustrade is constructed with mild steel posts and rail with stainless steel swaged cables for a contemporary look perfect for the modern home. 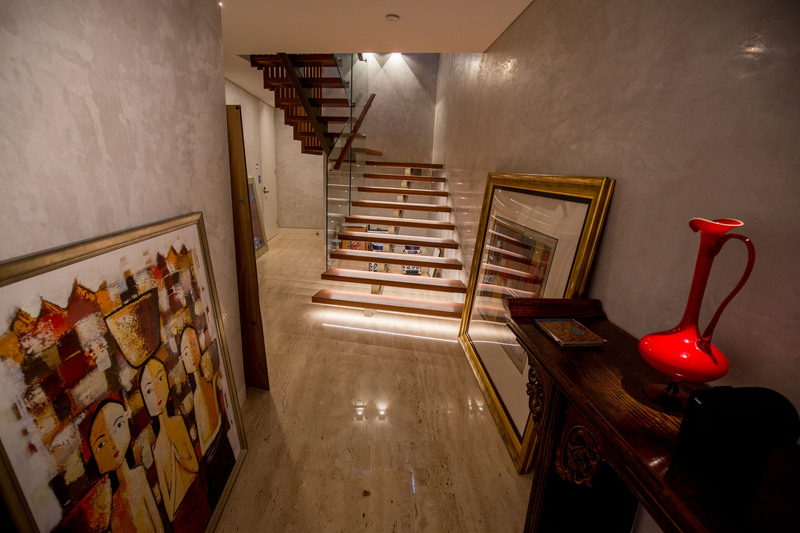 Do you have any image or attachment?